All want to gain a good PR for their sites/blogs if they have PR1 they want PR2 and so on. I myself wanted to know when it will be held this time so I was searching last night and got this – one respected member of that forum had given a fixed date of next Google PR update, it’s on 20-July-2010 at 20:20:20pm but I’m not sure about this time not I can guarantee about that it will happen but I can surely say next Google PR update will be held on last week of this month (June) or the first week of next month (July). I’m sure about it! So guys if you want a better PR for your site/blog then quickly build a huge backlinks for your blog/site to get a better and deserving PR. Best of luck! 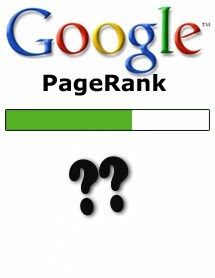 Good to hear from you, actually i am excited about next PR updates, my site is of PR2 and i want it to PR3 in these upcoming Google Updates. Have some patients, if everything will go correctly then only 11 more days left for next Google PR Updates. Don't think anyone can predict a PR update, but nice post anyway!